"Lake Garda has Seen its Share of Battles. The battle of Solferino was the Biggest and Bloodiest of All"
The battle of Solferino still remains the most famous of all the battles fought near Lake Garda, and the sheer scale of the loss of life still shocks you! Find out how this battle lead to the Red Cross being formed some years later. Lake Garda battles date from 300 B.C. to the end of the second world war. 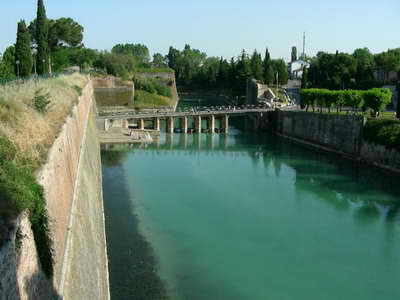 Solferino itself is located about 10km south of Lake Garda (below Desenzano). This seemingly insignificant place would become forever infamous by the huge battle which took place there in 1859. Ultimately, this battle was the start of Italy becoming re-unified after many years of being divided up into small kingdoms. In the years leading up to the battle of Solferino, the Lake Garda area was under Austrian rule. After one failed attempt, Vittorio Emanuele II (king of Piedmonte-Sardinia area) then joined forces with the French under Napoleon III. On the 4th of June 1859, the French defeated the Austrians at Magenta, causing them to retreat to Peschiera at the bottom corner of Lake Garda. Then on the 24th of June, the "Battle of Solferino" began. The French attacked the main Austrian force (lead by Emperor Franz Josef) at dawn, while the Italians attacked the Austrian right-wing to the south at San Martino. There were 140,000 Austrian soldiers fighting against 95,000 French and 40,000 Italians. The battle raged for 15 hours, and the weaponary used in such battles meant that the carnage and loss of life was horrific! Although no one can be sure of the exact numbers, most sources agree that well over 25,000 soldiers died that day. Some estimates say that the death toll could have been up to 40,000! Around 20,000 were wounded, suffering terribly in the heat of summer. Although the French and Italians are thought to have lost more men, they caused the Austrians to retreat, and thus claimed victory in the battle of Solferino. The aftermath of the battle shocked many to the core. Even Napoleon was so appalled that he proposed a peace plan with the Austrian Emperor straight away. They signed a treaty at Villafranca which secured Lombardy for the Italians, but left the Veneto region to the Austrians. The disgruntled Italians went through another seven years of fighting before the country was finally united again under King Vittorio Emanuele II. Another person shocked by the scenes after the battle of Solferino was Henri Dunant, a Swiss traveller who happened to be at Lake Garda at the time. He was so shocked at the conditions in which the vast number of the wounded suffered, that he wrote the "Souvenir of Solferino" which was published in 1862. He campaigned for better treatment of the wounded and this resulted in the first Geneva convention being signed in 1863. This then lead to the establishment of the Red Cross, an organisation we take for granted today! If you want to visit the battle area and find out more about the battle of Solferino, then there is a monument at San Martino (see picture below) and the museum at Solferino you can visit. There is also the church of St. Peter where more than 7000 skeletal remains are kept inside the "Ossario". A Red Cross monument is also located close to the tower. In 1943, the second world war was still raging and Italy was in a desparate situation. The Allies were advancing into the country and Italy's own resources were failing fast. Mussolini was forced to resign and Hitler ordered more troops into Italy in a final attempt to hold on to the country. On 13th October 1943, the new Italian government declared war on Germany and Mussolini had scarpered from Rome, ending up at Lake Garda (where Germany still had control). This lead to the bizarre setting up of the Salo republic (a town on the west of Lake Garda) and Mussolini was installed as head of state. This wierd situation lasted for little over a year when Mussolini, backed by some Italians partisan troops, realised his situation was getting precarious as the Allies continued to advance. After a final meeting in Milan in 1945, Mussolini fled north in an attempt to save himself. He was intercepted at Lake Como, arrested and executed the next day. If you drive up the west coast of Lake Garda, to the north of Salo, you will pass through a number of tunnels. Mussolini apparently stored many weapons in these tunnels during his time at Salo. 300 BC - Romans defeat the Gaulish Cisalpine empire and Lake Garda becomes part of the Roman empire. 5th Century AD - The "Lombards" settle in the area when the Romans empire falls. 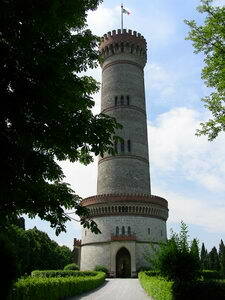 8th Century AD - Charlemagne defeats the Lombards, takes over the area and sets up Carolingian rule. 9th & 10th Centuries - Lombards retake the area after the Carolingian rule ends. Soon after, the area is suceeded by the Magyars, followed by the Saxons. 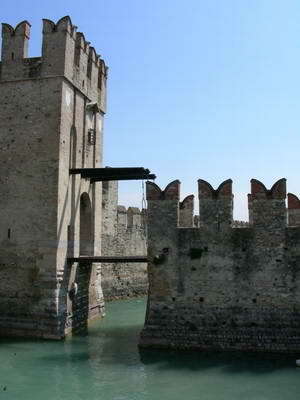 12th to 15th Centuries - The Scaligeri family take over Lake Garda & Verona. The Venetians eventually replace them. 16th Century - The land to the west of Lake Garda is taken over by the Spanish. 18th Century - Austrians take control of Lake Garda. 19th Century - After the battle of Solferino in 1859, Italy is eventually unified under King Vittorio Emanuele II. 20th Century - Mussolini signs pact with Hitler in 1915. Mussolini is forced out of power in 1943. In 1945, King Vittorio Emanuele III abdicates and Italy becomes a republic. In 1957 the treaty of Rome is signed which creates the European Common Market, which later becomes the European Union.